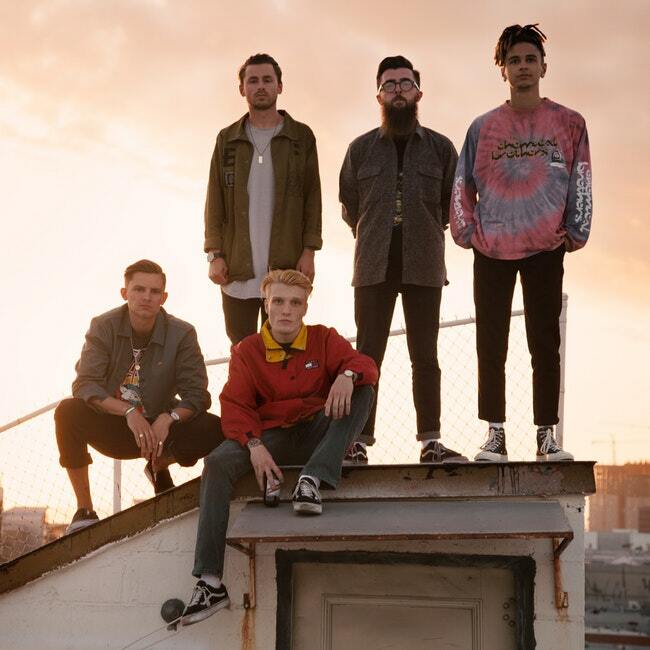 There’s no denying that Neck Deep is the biggest band to come out of the new generation of pop-punk bands. Their newest album, “The Peace and the Panic” which was released in August of 2017, climbed all the way up to the number four spot on the Billboard Top 200, selling 29,000 physical copies the first week of its release, a near astronomical number for a pop-punk band. The band’s previous album, “Life’s Not Out to Get You” managed to make it to the number 17 spot on the Billboard Top 200, and catapulted the band to superstardom in the alternative scene with its catchy sing-along choruses, emotional appeal and rock solid rhythm section. When Neck Deep announced their headlining tour of the U.S. (they toured the U.K. in the fall when TPATP came out because they’re from Wales) to support the release of the Peace and the Panic, I was ecstatic to learn that Dallas would be one of their first stops. Seeing a band at the beginning of a tour is always exciting because they are all still fresh and excited to be kicking off another leg of performances. Seeing a band towards the end of a tour is still exciting, but that is typically when you start to see singers shy away from higher, or harder notes to hit, and when you can sense a band is tired and ready for a break. Touring is hard work and extremely tiring due to sound checks, travel, practice and a two-hour performance every night where the fans are expecting to get their money’s worth. The great ones fight through it and deliver on all of those fronts. If the Neck Deep concert I attended in late January at the Bomb Factory is any indication of how this tour is going to turn out, it’ll be one you are not going to want to miss. It felt like it took forever for the stage to be prepared for ND, and when the curtain finally dropped, the band tore into Happy Judgement Day, a single off of their newest album, much to the crowd’s pleasure. Once the curtain dropped it became clear why it took so long to prepare, as there were ramps fixed to the side of an elevated drum set, giving guitarist Matt West and bassist Fil Thorpe-Evans the freedom to run around the stage and jump off of the platform whenever they saw necessary. There was a feeling of pure electricity in the air that the band managed to keep for the vast majority of the night, and it was all facilitated by frontman Ben Barlow. The 23-year-old singer is revered for his stage presence, good guy aura and his jawline. While I absolutely love Neck Deep’s music, I’ve always kind of questioned Barlow’s pure talent as a vocalist. However, he managed to make me feel like an idiot for having those doubts on multiple occasions throughout the concert. He stood proudly, nailed difficult passages of songs and yet still used an appropriate amount of audience participation. Overall, missing an opportunity to see Neck Deep never crossed my mind and after seeing how well they performed and connected with the crowd, I hope I come across many more chances to see them.